Close-up Of Businessperson Signing Contract,Man Writing Paper At The Desk, Man Writing With Pen And Reading Books At Table,man Signing, Contract, Form. In Office ,morning Light ,selective Focus. Banco De Imagens Royalty Free, Ilustrações, Imagens E Banco De Imagens.. Image 56084248. 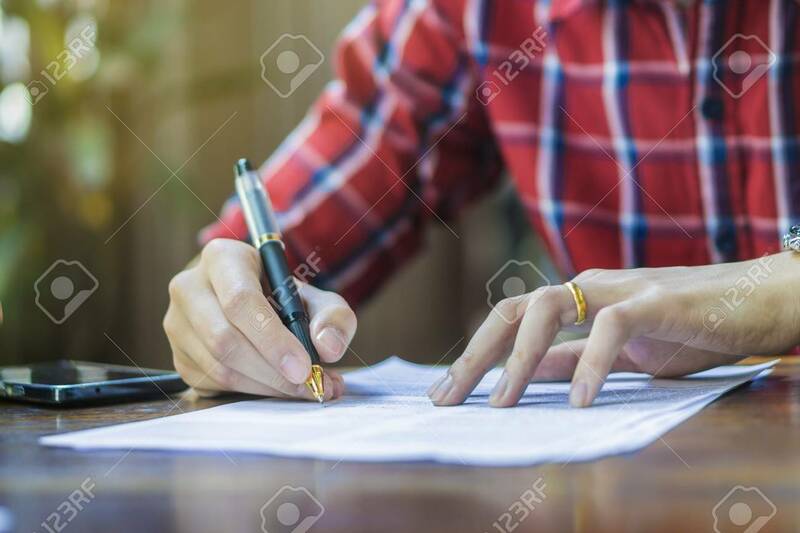 Imagens - Close-up Of Businessperson Signing Contract,Man writing paper at the desk, man writing with pen and reading books at table,man Signing, Contract, Form. in office ,morning light ,selective focus. Close-up Of Businessperson Signing Contract,Man writing paper at the desk, man writing with pen and reading books at table,man Signing, Contract, Form. in office ,morning light ,selective focus.